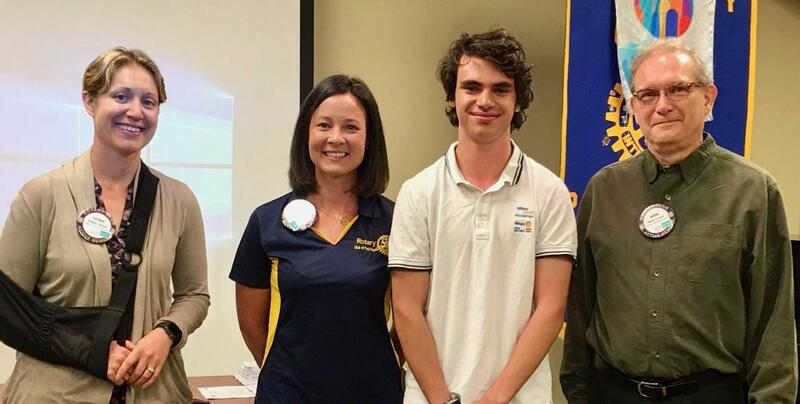 Missy Lindow and Alessandro Notari spoke about the year’s highlights and “low lights” at the Rotary Club meeting May 30. Alessandro will be leaving June 3 for home in Cremona, Italy. He expressed appreciation to the Lindow family and the club’s hosting his stay this year. Among those wishing Alessandro a great future were (from left) Esther Simon, club Youth Exchange Officer; Missy, Alessandro and club president Mark Larsen.